If you’re interested in the tax benefits relating to conservation, or are a member of a land conservation organization, then you need to be familiar with conservation easement appraisals. 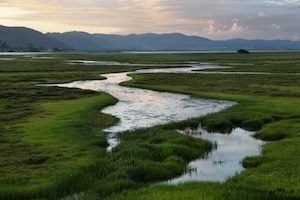 A conservation easement protects land and water features in a particular location. The property owner and the easement holder (usually the government or a qualified charity) establish these easements by mutual agreement. But why are they interesting? Usually, conservation easements preserve significant scenic, cultural, historical or cultural sites. The agreement outlines the specific public benefits (also known as the conservation values) and establishes usage restrictions to protect them. Even though the property owner retains their rights, they are granting permission to the easement holder to enforce the conservation values. And to qualify for federal or state tax incentives, easement periods are usually designated “in perpetuity” (forever). Please note: The above is not a comprehensive list, and actual specifics will vary based on property details. When it comes to preservation, conservation easements are both convenient and cost-effective. Many private individuals own land areas important to local populations. For example, a wetlands area that provides a rich environment for waterfowl could be a prime candidate. It’s not that they should necessarily have a public lands designation, but they should enjoy certain protections to prevent loss and damage. Qualifications for these programs vary. Before signing anything, it’s best to understand the requirements in detail and ensure your conservation agreement meets the standard. The question of whether to get conservation easement appraisals comes up often. The general rule is that if you intend to claim any benefit from the agreement (either in the form of incentives or later land sale), you need an appraisal. Just be sure that when you do get the appraisal, your appraiser is familiar with applicable state and local guidelines regarding valuation. Many areas have additional rules beyond the federal mandates. 1. Sales comparisons. The appraiser determines a value based on the sale of similar easements in areas with comparable rules and restrictions. This is the government’s preferred approach, but very few markets have sufficient data to provide an accurate valuation. 2. “Before and after.” By looking at the property’s fair market value (FMV) before an easement, and comparing it to the FMV after an easement designation, the appraiser can determine the value based on the difference between the two numbers. While these are the most common methods, there are a few exceptions. Determination of the proper way to value a specific piece of land may vary depending on the location, use, and other factors. A qualified appraiser will be able to tell you about the right methodology based on the market and your goals. In recent years, the IRS ramped up appraiser oversight to ensure appraisals provided are valid. The easiest way to ensure your appraisal is in the hands of a qualified professional is by contacting the American Society of Appraisers (ASA). 1. Familiarity and compliance with the Uniform Standards of Professional Appraisal Practice (USPAP) – These guidelines set the quality control standards applicable for real property, personal property, intangible assets, and business valuation appraisal analysis and reports. 3. Membership with the Partnership for Compliance (P4C) – Members of P4C seek to find common ground between all impacted parties involved in conservation. They believe in effective, fair and proper implementation of conservation efforts, to ensure the land continues to benefit future generations. Considered the quality control standards applicable for real property, personal property, intangible assets, and business valuation appraisal analysis and reports in the United States and its territories. The Uniform Appraisal Standards for Federal Land Acquisitions have been developed, revised, approved, adopted and promulgated on behalf of the Interagency Land Acquisition Conference. The Conference is solely and exclusively responsible for the content of the Standards. The Appraisal Foundation provided editing and technical assistance to the Standards, but neither undertakes nor assumes any responsibility whatsoever for the content of the Standards. The Appraisal Foundation has published the Uniform Appraisal Standards for Federal Land Acquisitions on behalf of the Conference and in cooperation with the United States Department of Justice. We belong to the Partnership for Conservation (P4C). Global Valuation also completes review appraisals. If you’re looking to obtain conservation easement appraisals, review appraisals or a second opinion, give us a call today at 228-864-1188.